After spending some time researching proxies, you are almost ready to make a purchase. However, you’re stuck on one point: You don’t know if you should get datacenter or residential IP proxies. This is a common concern, especially after people spend time on sites like Black Hat Forum, where other people like to debate the merits of the two. Because the debate can be a little mind-numbing, take a minute to learn exactly what these two options have to offer in the way of dedicated proxies and delivering anonymity online. Before diving into the specifics of datacenter and residential IP proxies, here’s a quick overview of what to expect when you buy private proxies. To put it in the simplest terms, residential IP proxies consist of real IP addresses that come from internet service providers. These proxies are wired directly into your home, which are used to connect to the internet while masking your location. In comparison, datacenter proxies don’t actually come from internet service providers. Instead, they come from third parties. Rather than being wired into your home, they are just numbers opposed to real internet connections. Since that’s a very basic explanation, let’s take a closer look at datacenter and residential IP proxies. This way, you’ll know exactly what you need to purchase to browse the web while masking your identity. Datacenter proxies are the most common proxies out there. In fact, they are likely what you think of when it comes to proxies. However, there is a good chance that you don’t know the specifics of how these proxies operate. It’s a good idea to learn what they consist of so that you’ll know what you’re using if you purchase them. Datacenter proxies don’t have anything to do with your internet connection or internet service provider. These proxies are completely independent of both. As IP addresses, they don’t come from your internet service provider. You will typically buy datacenter proxies in bulk, giving you an assortment of IP addresses. Every proxy will have its own IP address, but the addresses won’t have anything to do with an internet service provider. Whenever you connect with one of the datacenter proxies, it will mask your identity by providing you with a new IP address. This will make it appear as though you are in a different location. For instance, you can be in Germany and get an IP address that is located in California when using datacenter proxies. Datacenter proxies offer lots of benefits. Most importantly, they hide your identity when you’re surfing the web. That means you can easily cop sneakers, scrape data, or do anything else that you want without people knowing who you are. These proxies also make it very easy to change your location. If you live in a country that bans Netflix, you can get a proxy located in the United States and have no problem watching. This is just one example of the power provided by changing your location. They are generally affordable, costing just a few dollars per month. That small investment allows you enjoy all of the benefits that come with private datacenter proxies. In addition, it’s easy to buy them in bulk, something that is important if you need to do something like scrape data. Because you can continue to change your proxies out, websites never detect you. You can even get rotating proxies that automatically rotate out, making it even harder for you to be detected. There is one main drawback for using datacenter proxies in that they don’t trace back to an internet service provider. Therefore, if someone inspected the proxy, it would be obvious that you are the user. This typically only becomes an issue if you share a subnet with someone who is abusing a proxy. This issue doesn’t have to be the end of the world. Simply choose a provider that offers a lot of subnets and you can get around this issue. Even so, some people turn to residential proxies to add some legitimacy to their web browsing experience. Let’s take a look at how these proxies work. To understand residential IP proxies, you need to first look at residential IPs, as they are the foundation for these proxies. 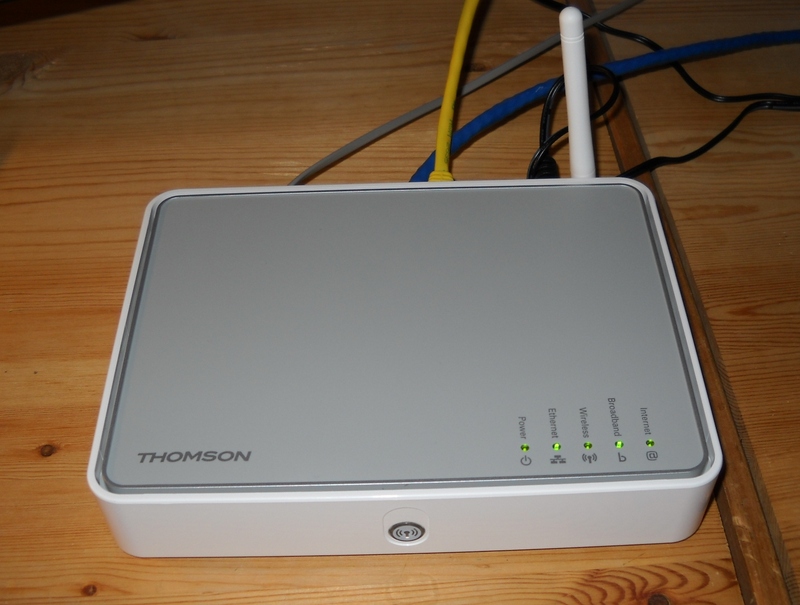 If you’re connected to the internet, you have a residential IP. This is something that you get whenever you have internet connection set up. Your IP address identifies who you are and allows you to connect to various websites across the internet. For instance, let’s say that you call AT&T to get their high-speed internet service. They send you a modem, and after setting it up, you can go online. You’re able to do that with your IP address. Your IP address is either static or dynamic. A static IP address never changes, meaning it’s the same every time you log onto the internet. On the other hand, a dynamically assigned IP address changes. If your IP address is dynamic, it might be a specific number one day and then another number the next. Even if it changes, your identifying factors remain the same. That means that websites can identify your location based on your IP address. Most people don’t know what their IP addresses are, but there is an easy way to find out. Simply go to a site like What is My IP Address and you’ll have access to all of your details, including your IP address, internet service provider, city, region, and country. You will even get a map of your location. If preferred, you can click to get additional information. This shows you just how powerful your residential IP is. It contains a significant amount of identifying information, which websites can access at any time. Now that you know what a residential IP is, it’s time to look at residential IP proxies. Providers of residential IP proxies take these personal IP addresses and sell them. For instance, they might sell a personal Comcast IP address out of California to someone who lives in Brazil. That way, the Brazilian will get a connection that looks like it belongs to a person. Just like datacenter proxies, residential IP proxies have some pros and cons that you need to consider before deciding if this is the type of proxy you need. Since residential IP proxies provide people with legitimate IP addresses, they are less likely to get blacklisted from websites. If website owners were to look into the details of the proxy, they would see that it belongs to an internet service provider rather than a datacenter. That makes it look as if a regular person is surfing the web. That’s the theory, at least. In reality, many of the companies that sell residential IP proxies are actually selling datacenter proxies. They lie to people and tell them they are residential IPs, hoping that people never learn the truth. Because of that, you have to do considerable research before buying residential IP proxies. Otherwise, you could be scammed. There are also people who obtain residential IP proxies through nefarious practices. They steal IP addresses and then sell them. As you can imagine, internet service providers aren’t too happy about that, and if discovered, you could end up losing your residential IP proxy due to a crackdown. Then, there is the matter of cost. These proxies aren’t very affordable and in fact, they cost significantly more than datacenter proxies do. Some people pay hundreds of dollars a month for these proxies, which is fine for those with the financial means. However, if you’re just an average person, you probably don’t have the funds to pay for these proxies on a monthly basis. You also need to consider that these proxies are more difficult to obtain. Sure, you can get a single residential IP proxy, and you might even be able to get a handful of them, but if you need 100 proxies to scrape the web or cop sneakers, you’ll have your work cut out for you. It’s just downright difficult to get these proxies in bulk. That brings you to another problem. Since these proxies aren’t readily available, it can be hard to replace them if backlisted. You could end up losing your ability to browse the web anonymously due to a backlisted residential IP proxy. However, some datacenter proxy companies will replace your proxy if it’s backlisted. That way, you can go back to surfing the web or taking care of business with minimal downtime. Finally, speed can be an issue with residential IP proxies. You might end up surfing the web at a slow crawl, which isn’t the case with proxies from some of the major datacenters. The reason is that those proxies are built to give you maximum online speed. Buying Dedicated Proxies – Which Type is Right for You? Although you now know about the different types of proxies, you still might be a little confused as to which proxies you should use. The majority of users do just fine with datacenter proxies. These proxies are simple to use, affordable, and they get the job done. In addition, they’re typically faster than residential IP proxies. Therefore, you can accomplish everything in a shorter period of time. Just make sure that you choose datacenter proxies from a legitimate provider like Sprious. This ensures that you get proxies that aren’t banned or backlisted. Your proxies will also be fast, and you’ll have lots of subnets available. As a result, you won’t have to worry about anything holding you back. A few select people might prefer residential proxies. However, these people don’t require multiple IP addresses to get the job done, and they don’t mind spending hundreds of dollars per month for anonymity. You really only need to use these proxies if you’re trying to access a site that has managed to ban all datacenter proxies. For instance, Nike can be difficult to access with datacenter proxies, whereas you could access it with residential proxies. Of course, unless you have deep pockets and plenty of luck, you won’t be able to get enough residential IP proxies to score more than a single pair of sneakers. If you want to remain anonymous online, proxies are a must. However, knowing that is only half of the battle. You need to buy dedicated proxies that work best for your needs. In almost all cases, those proxies are datacenter proxies. Buying them in bulk at affordable prices provides you the flexibly needed to surf the web anonymously. If you require residential IP proxies, be smart about it. Don’t choose a provider that steals IP addresses from people, as this could obviously get you in trouble down the road. You could also end up with reliability issues, as well as a lack of privacy if using a stolen IP address. You should also choose a company with fast proxies. Otherwise, you could end up wasting valuable time waiting for connections. To accomplish that, you need to do your homework before investing in residential IP proxies. Through your research, you can find residential IP proxies that work, as long as you don’t mind paying a premium. If that sounds like too much to deal with, stick with datacenter proxies. You’ll be happy with the results, and you won’t have to put as much time or energy into the process of securing and using your proxies.